Special Occasion and Every DayIt's at every special occasion or dinner with friends. A breakfast favorite, filled with almond paste and drizzled with white icing. A breakfast favorite. Filled with cinnamon and topped with cream cheese icing. Danish dough filled with almond paste, sprinkled with toasted almonds. Danish dough filled with apricot preserves. Danish dough with blueberry filling. Our hand rolled danish dough with a sweet baker's cheese filling, drizzled with white icing. Our hand rolled danish dough with plump cherry filling. Our hand rolled danish dough with pineapple filling. Sometimes called "old fashioned" or "sour cream" this cake donut is made with a chocolate batter and iced with a chocolate glaze. Big chunks of apple with lots of cinnamon make this prantl's most popular fruit pie. Also available in 10" for the holidays. Delicious dark blueberries in our homemade pie crust make this 8" pie a crowd pleaser. A​ unique combination of apples, caramel, and nuts make this 8" pie a prantl's favorite. A tart and creamy pie. So refreshing! Sliced peaches and mixed berries give you the best of both worlds in this 8" pie! Sliced peaches in our 8" buttery crust make this a summer dream anytime. Our yummy carrot cake with cream cheese icing and crushed walnuts on the sides. Our yummy pie crust baked into a cup and filled with baker's cheese (as one would find in cheese danish) and cherry filling. Also available in pineapple. Our yummy pie crust baked into a cup and filled with baker's cheese (as one would find in cheese danish) and cherry filling. Also available in cherry. Two-bite version of our "chocolatiest" dessert: rich chocolate cake covered in fudge icing and chocolate crumbles. Chocolate cake, white buttercream, and crushed oreos. A great combination! 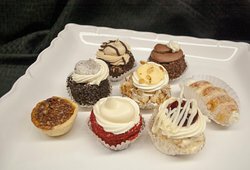 Thirty of our ever-popular 2-bite desserts arranged on a tray with lid for easy transport and serving. A​ horn shaped puff pastry filled with white buttercream icing. Chocolate​ cake surrounded by chocolate and peanut butter buttercream and covered in milk chocolate shavings. Squares of our delicate yellow cake covered in poured fondant icing (pink, white, or chocolate) and decorated with a flower. Please call if you would like a custom design. Yummy red velvet cake with cream cheese icing. Surprise your sweetheart with this tasty treat! A prantl's classic. This flourless almond cookie is sold in packages of 18. We offer enrico's famous biscotti in various flavors that change throughout the year. We'll give you an assortment or, if you'd like specific flavors, please call one of our stores to order. This flourless, dark chocolate brownies is for chocoholics! It measures 4"x4" to make sure you get your chocolate fix. A classic brownie, packed with walnuts and iced with fudge icing. These smaller brownies measure 2"x2". We offer this same brownie in a 4"x4" size as well. A classic brownie, packed with walnuts and iced with fudge icing. These larger brownies measure 4"x4". We offer this same brownie in a 2"x2" size as well. A traditional butter cookie "thumbprint" with a dot of icing in the center. Please call us if you'd like us to make you a custom order of a certain color. An old favorite, these smaller cookies are great for snacking or to put out on a tray. A big, buttery cookies packed with chunks of chocolate. Five dozen prantl's traditional smaller cookies assorted on a tray with lid for easy transportation and display. A yummy shortbread cookie in the shape of a butterfly and decorated with buttercream. Looks too good to eat but delicious! Layers of rich chocolate cake and cherry filling iced with whipped cream and covered in milk chocolate shavings with cherries on top. This 7" cake serves 6-8. This​ is prantl's most famous delicacy. Melt in your mouth yellow cake, split and filled with a vanilla custard, iced in our delicious white buttercream and covered in our secret recipe toasted almonds. This 8" square feeds 8. the "custard" version requires refrigeration. If you would like a torte that does not require refrigeration, please choose "travel". This is prantl's most famous delicacy. 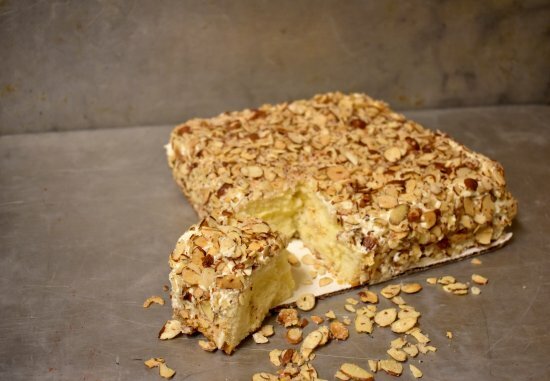 Melt in your mouth yellow cake, split and filled with a vanilla pastry cream, iced in our delicious white buttercream and covered in our secret recipe toasted almonds. This 8" square feeds 8. the "travel" version does not require refrigeration. If you would prefer the version that does require refrigeration, please choose "custard". This twist on famous prantl's burnt almond torte is made with chocolate cake, chocolate custard, and chocolate icing covered in our secret recipe toasted almonds. This 7" square feeds 8. requires refrigeration. The carrots are grated by hand in this beloved prantl's favorite. Our carrot cake contains raisins and nuts and is iced with cream cheese icing. Serves 8. A creamy, new york style cheesecake with graham cracker crust and cherries on top. Rich chocolate cake covered in fudge icing with chocolate crunch on the sides. This 7" cake serves 6-8. Our chocolate batter cupcake with white buttercream icing swirled on top and sprinkled with colorful, edible "confetti". We can make all sorts of custom cupcakes as well. Layers of chocolate cake with german chocolate icing (caramel, chopped nuts, and coconut) frosted in chocolate butter cream icing with sprinkles on the sides. This 7" cake serves 6-8. This will be the hit of any party. Almost looks too good to eat, but you won't be able to resist. This cake is "half and half" (one layer chocolate cake, one yellow). Design your cake using the options below. Additional instructions may be typed in the "instructions" box on the right. If you do not see what you'd like here, please go to contact us at the bottom of this page and send us an e-mail with your request. A larger version of our famous burnt almond torte. Great for a celebration! "Decorated" means we leave a round space in the center for your inscription and choice of decoration. 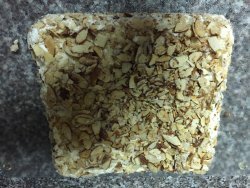 If you'd like the torte just covered in amazing almonds, choose the "undecorated" torte. A larger version of our famous burnt almond torte. Great for a celebration! "Undecorated" comes covered in nuts. If you'd like us to leave a space for an inscription and trim, please choose burnt almond torte "decorated". A wheat bread that includes rice bran, sesame, and flax seeds. Bread available for pickup after 9am daily in shadyside. For mancini's bread in market square, please call 412-281-8116. A mixed dozen of our soft twist knots: plain, poppy, and sesame. These rolls freeze well at home. Bread available for pickup after 9am daily in shadyside. For mancini's bread in market square, please call 412-281-8116. please note: on sunday 12/23 and monday 12/24 only mancini's twist rolls will be available at either location. A​ dozen of our soft twist knot rolls: great as a dinner roll or for small sandwiches. These rolls freeze well at home. Bread available for pickup after 9am daily in shadyside. For mancini's bread in market square, please call 412-281-8116. please note: on sunday 12/23 and monday 12/24 only mancini's twist rolls will be available at either location. A dozen of our soft twist knot rolls with poppy seeds: great as a dinner roll or for small sandwiches. May also be ordered plain, with sesame seeds, or as an "assorted dozen". Bread available for pickup after 9am daily in shadyside. For mancini's bread in market square, please call 412-281-8116. please note: on sunday 12/23 and monday 12/24 only mancini's twist rolls will be available at either location. A​ dozen of our soft twist knot rolls with sesame seeds: great as a dinner roll or for small sandwiches. These rolls freeze well at home. Bread available for pickup after 9am daily in shadyside. For mancini's bread in market square, please call 412-281-8116. please note: on sunday 12/23 and monday 12/24 only mancini's twist rolls will be available at either location. Our yummy egg bread. Great for sandwiches, toast, or just plain eating! 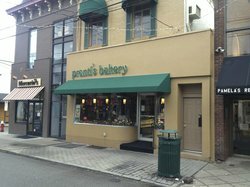 Prantl's is a bakery in the German tradition, with traditional fruit Danish and nut filled coffeecakes, perfect for breakfast, dessert, or catering. 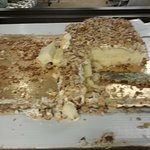 We are the home of the famous "Burnt Almond Torte" and 100+ sinful sweets. For 40 years, we've satisfied the sweet tooth of our local community and beyond with great baked treats at competitive prices. Our bakers are talented and skilled and their expertise allows them to craft a multitude of tasty and delectable treats that can satisfy any palette. 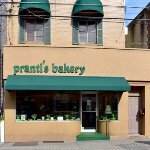 Prantl's is also the leading wedding bakery in Greensburg. Let us know how we can help! Visit our bakery today to learn more! Delicious sweets and treats for all occasions...You will not be disappointed so go with an appetite or take some home for family and friends.. I was never able to make it to prantl’s in Pittsburgh but I tried the Greensburg location. So happy I did! Amazing almond torte. Also the cookies and brownies were amazing. Loved everything and so did my family! 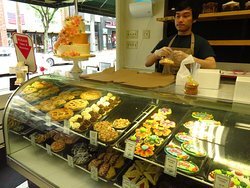 Prantl's in Shadyside - a MUST for your sweet tooth!! Came here for friend's wedding cake tasting and have frequented for birthday cakes for the office. Delicious! Staff are great. 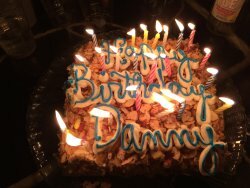 THEY HAVE THE MOST AMAZING ALMOND TORTE CAKE! 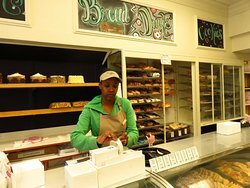 They have an amazing bakery so go banditry everything! 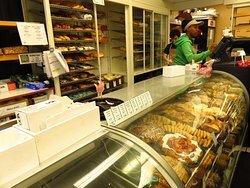 Get quick answers from Prantl's Bakery staff and past visitors.